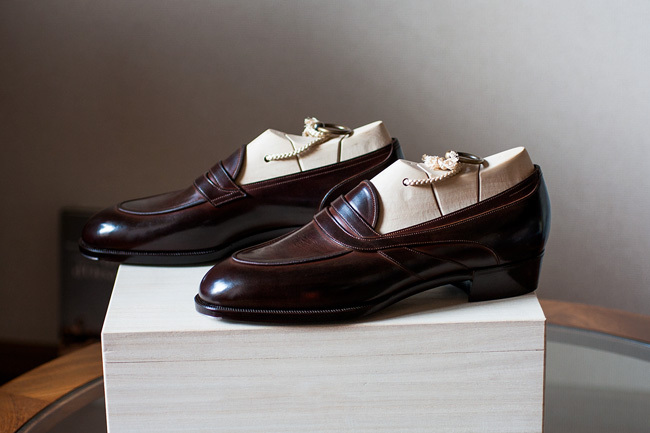 TYE Shoemaker was established by Tsuyoshi Ohno in 2011, and employs a closer, a pattern-maker, a leather goods maker and Tsuyoshi Ohno in charge of lasts and shoemaking. 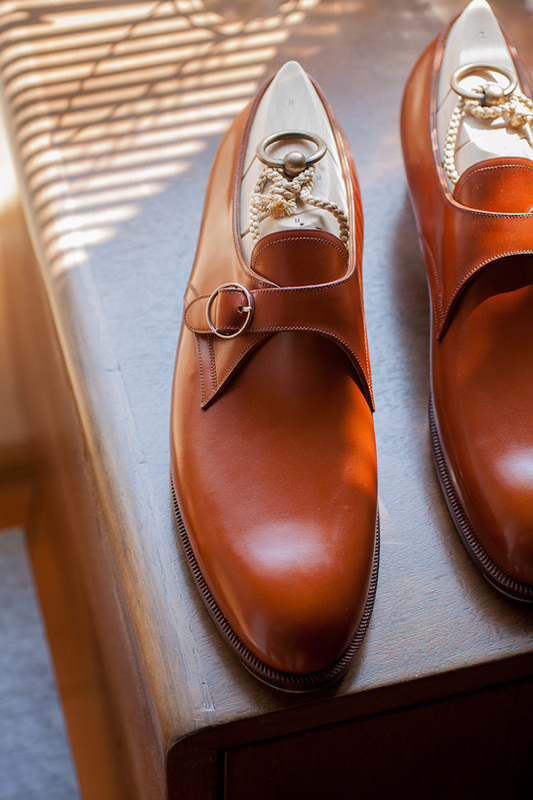 Delivery time is at least eight months and prices start at 315.000 yen for bespoke shoes. 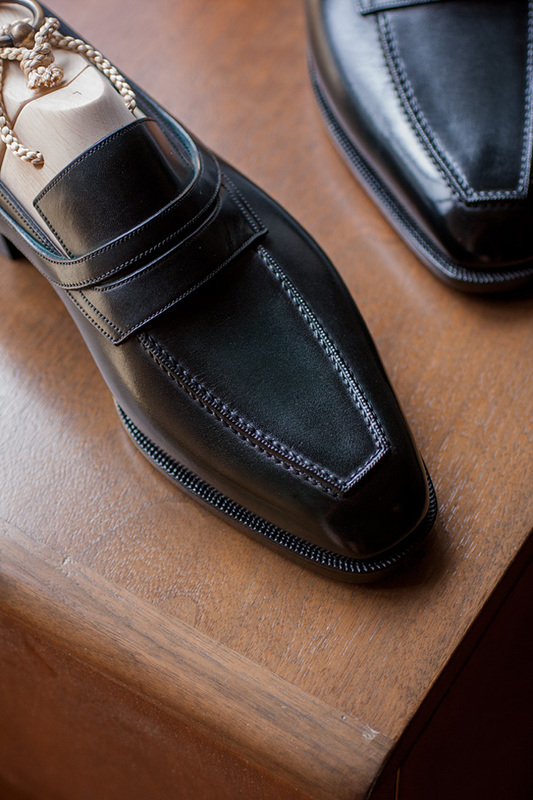 Japanese TYE Shoemaker manufactures bespoke shoes with a lot of character, which has managed to attract both the “regular shoe nerd” and a more fashion oriented, modern dressed clientele. Here’s a substantial report about the brand. The address points to a location in the middle of Tokyo’s shoe district Asakusa, even on Google Maps TYE Shoemaker is officially exposed here. At the atelier: Here’s a small sofa and coffee table in front of some shelves with some sample shoes, both men’s and women’s footwear, to the left there is a work area with focus on upper making, to the right a part which focus on last making and bottom making. TYE Shoemaker was founded nearly seven years ago. They just made women’s shoes at first, but after that more and more men were asking for shoes from them they soon began to also make men’s shoes, and today it is about half of each. TYE has since the beginning worked closely with the luxury tailor and fashion store ICHO, and a large part of the customers comes through them, especially the female clients. 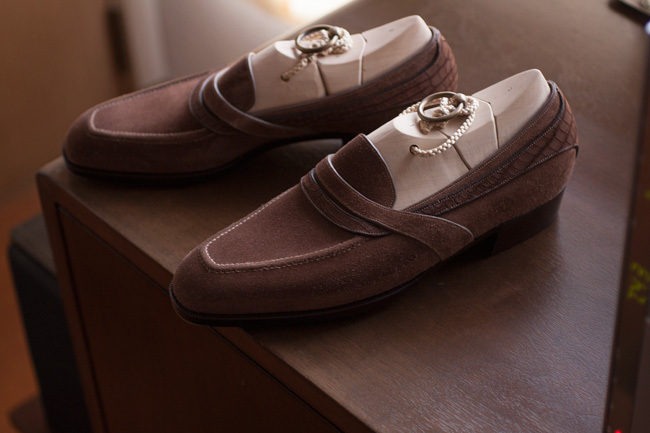 It has also affected the kind of shoes that TYE do, which is a very interesting mix of old, classic European style and modern fashion emphasized things with a Japanese touch. It’s neat, elegant, often daring. Here in the workshop, they have only a few samples, more is at ICHO. Tsyoshi Ohno is not particularly fond of showcasing the samples he has here, as most were made six or seven years ago and he feels he has developed a lot since then. The fact that they are located in Asakusa they experience as an advantage. 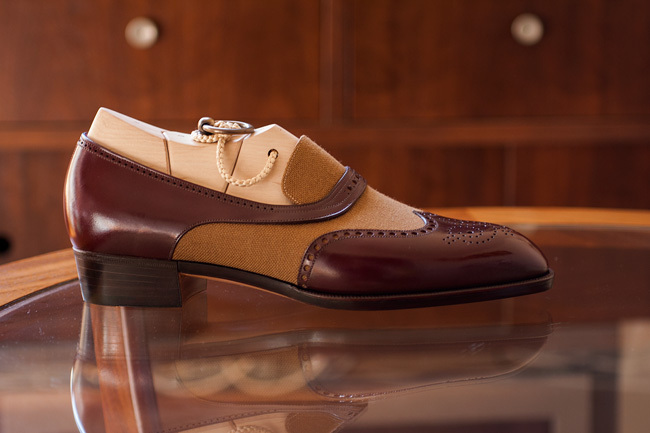 There is a culture of shoes that’s stimulating and practical, they can easily get hold of different shoe parts. As for the uppers, it’s more difficult though, to find hides of sufficient level of quality.